Update your details to download a copy of the eBook for FREE! 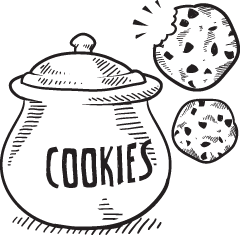 In order to fill-in the form you need to have functionality cookies enabled. How will eLearning Industry Inc use your information? eLearning Industry Inc has invested a lot in preparing this eBook and has done so in order to freely distribute it to eLearning Industry's audience. In return for this piece of premium content, they would like an opportunity to present their products and services to you. If after doing so you are no longer interested in their offering, you may unsubscribe or ask them not to contact you anymore. The competition is already steep. As more and more organizations realize the benefits of digital marketing, reaching your target audience will become even more challenging. The Internet is already saturated with eLearning companies promoting their LMS products and services. Is there really any use in trying your hand at online marketing? Why should prospective buyers choose your software over others on the market? Answering this seemingly simple question involves a great deal of research and reflection. People are busy nowadays. Not only do they have to deal with heavy workloads and personal obligations, but also technology intrusions that vie for their attention. One of the golden rules of business economics is that you have to earn more than you spend. In the case of marketing, the resources you allocate to bring in new business should be just a small fraction of your annual profits. Your target audience already uses social media daily to read the latest news and promote their own products and services. Thus, it’s only natural that your LMS company follows suit and connects with clients on a more personal level. Content marketing builds awareness of your brand while offering readers helpful insights they can use in their everyday lives. Developing a top-notch Learning Management System can be a lucrative venture, but only if consumers know about it. The benefits of Search Engine Optimization (SEO) have been clearly proven over the years. But can it really work for educational platforms and Learning Management Systems? Promoting your LMS can be resource-draining and time-consuming. There are so many factors to think about, from creating an accurate LMS marketing budget to researching your audience. Affiliates, PPC, And Inbound Marketing: Which LMS Marketing Strategy Is Best For Your LMS? Trial-and-error isn’t an option when you’re working on a tight LMS marketing budget. This means that you need to do your homework to find an LMS marketing strategy that stretches your resources. Live events are a good way to connect with customers, develop leads, and road test your Learning Management System. The press release has always been a quick and easy way to launch a new product. How can you revamp this typical medium to really push your Learning Management System? Do your current clients feel appreciated? Are they satisfied with your support services and product features? Or are they in the market for a new LMS platform to achieve their objectives? This Free eBook can help to take full advantage of promoting your LMS Online. You’ll discover the benefits of promoting your LMS on a PPC Software Directory, how to identify your LMS niche and your LMS selling points, how to craft the perfect LMS sales pitch, and how to create an accurate LMS marketing budget. You will also learn how to promote your LMS on social media, how to use content marketing to boost your LMS sales, as well as how you can use SEO marketing to bring more business to your company. Finally, you’ll discover how to use Big Data to improve your LMS Marketing strategy, how to host Live promotional events for your LMS, as well as creative ways to retain LMS clients. 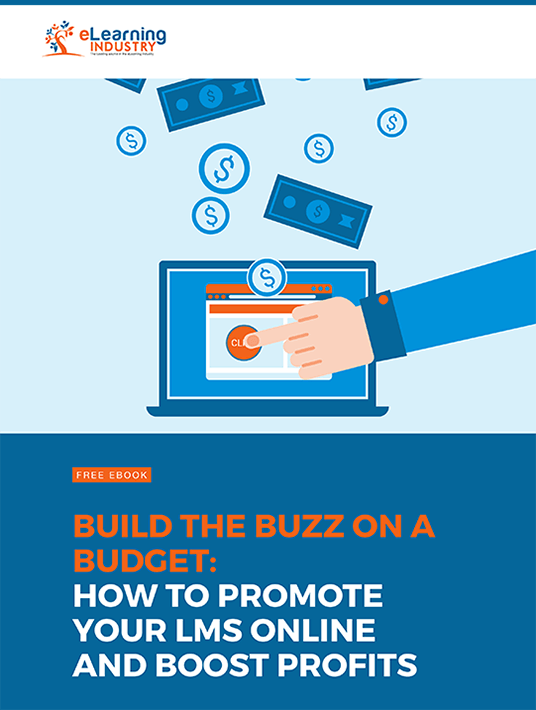 Download our Free eBook “Build the Buzz on a Budget: How To Promote Your LMS Online and Boost Profits”. A useful tool for Marketing professionals in the Learning Tech industry who want to make an impact. Getting your LMS platform in front of the right audience is the only way you’re going to make any sales. If the wrong people see it, the right ones won’t buy it. Innovative LMS marketing not only saves you money, it makes you money too.